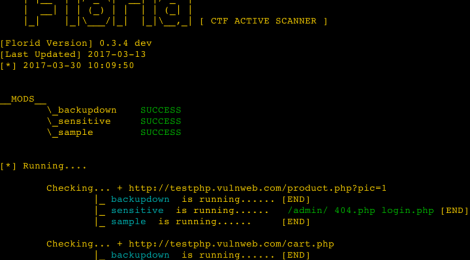 Browse: Home / Florid – a ctf active scanner. Florid is an python scripting for ctf active scanner. 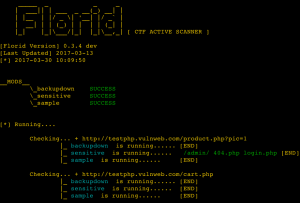 Florid – an active scanner. – After you scanned a website by this scanner, the system will generate a directory in “./log” named by the hostname of the website. The result of the spider.py will be stored in url_list.txt in that directory. – If you want to include “sqli” module, you should run “sqlmapapi.py”, because the function is based on it. python florid.py -u "http://testphp.vulnweb.com/product.php?pic=1" -m "sqli,test"
← shellcoder – Create shellcode from executable or assembly code.